WordPress is a website that allows creatives the platform to share their work, be it articles, blogs, photography amongst others. The website has gained a lot of popularity as more and more people are starting up their own, the fact that it does not require a professional to set up the website is an added bonus. Due to this, it is important to make one’s WordPress website as unique as possible, as this creates more traffic to the website, which means that’ll their material is being viewed right left and center. This is where the tutorials come in handy as they are are guides, step by step on how to achieve the website that one desires. 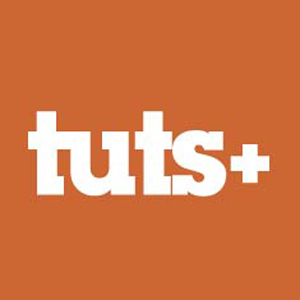 TutPlus offer great WordPress tutorials making sure to go in detail with all their explanations. They tend to divide their work into subtopics so as explain each and everything and they never assume that majority of people may have the knowledge about something hence choice to ignore, the tackle everything. Sometimes they even end up splitting a particular article as it is too long, but one thing is for sure there website is always jam packed with information that properly guides. In the WordPress, the options and alternatives are too many, and are always being added, for example the themes. Themes here refer to the outlook and background of one’s website. This includes the theme color or shades of color, the arrangement of it including where photos will appear. When a stranger opens your website, you want them to see your personality or the message that you are trying to pass from that first look, it should be inviting, hence the importance of picking the right theme and updating it to suite your needs. This website is great at giving tutorials when it comes to theme application and how to make a particular theme work for an individual best. They give guidelines that are easy to follow, this encourages users on the website in trying out new themes and most of all letting their creative side come out through their WordPress website. Problems are part of the journey, we live and we learn, just as it is in life several problems are also experienced in the WordPress world. It’s virtually impossible to start the website today, and not experience any problems or have genuine questions on how to go about things, this websites offers tutorials tackling, solving and answering any questions that newbie users of the website especially may have. Wp Beginner’s tutorials are usually most answering the how to questions on people’s websites. Such questions include how to disable the admin bar, how to configure a particular plugin or how to make my website more secure. To which they make sure to go into details, and give a variety of ways on how to solve this kinds of issues, or any close or related to one’s question. This is therefore very important tutorial as it provides the necessary solutions. As the name would suggest, this website was launched by Pippin Williamson, and his tutorials focus on plugins. Having made his own plugins is another great reason to follow his tutorials as he is giving expert type of advise and he is speaking from the experience of having used the particular plugins, his personals preferences and what he also hopes to try out. His tutorials are subdivided according to the level of an individual, hence catering for all without having to submit other to learn what they are already well aware of, also this encourages beginners to grow and get better. They include: beginners, intermediate and advanced level. Each of his tutorials contains a details breakdown of how this plugins work, and how to incorporate and integrate the code to one’s website. To add on they are categorized is a perfectly sensible way. Hence through this user’s are able to reap the benefits from these properly explained tutorials, and the fact that the founded blogs regularly is an added on advantage as he is in a better position to try out and notice, and eventually talk and refers others on what they should use and try and what they should stay away from. He properly notes down the advantages and disadvantages of new plugins.